Literally the worst thing about tech coverage today is that everything has to be literally the worst. Nothing can just be bad or just need some real improvement. Hey, half of that headline is probably fair! That’s an improvement for Business Insider. It all started because I was running late. It was a dark and stormy night. Suddenly, a shot rang out! Long story short, she dropped her iPhone 6s and the screen broke. The point is, though, it could have happened to anyone. [turns to camera] EVEN YOU! What ensued was a weeklong headache that proved how inefficient, complicated, and time-consuming Apple’s retail experience can be. Apple’s store experience is unusual. Some people really don’t like it. The Macalope has learned to live with it, but he’s not really here to defend it. In his experience it works like this: there’s a triage person at the front of the store with an iPad. You ask them where to go and take it from there. It seems designed to keep lines to a minimum, possibly for reasons of flow and aesthetics (you can imagine Jony Ive walking through a training store somewhere whacking people with sticks any time there’s a line longer than two people). On more than one occasion while in an Apple Store, the horny one has taken it upon himself to explain to a bewildered customer who they should talk to. It’s not the simplest experience. It should be better. Still, the Macalope thinks if Hartmans’ experience is “hell,” then it’s more Neighborhood 12358W than the “10 million years with a mouth full of laser bees” kind of hell. Suffice it to say, the process was unclear and she had to wait a while and not in a line. Apparently we all love to wait in lines now. Ultimately, they fixed her screen (taking four and a half hours instead of the promised two) but the phone crapped out less than 24 hours later in Las Vegas and Hartmans was forced to rely on a Pixel 2 review unit she had with her. I would recommend the Pixel 2 to anyone, and the only reason I’m not switching to it is that I still haven’t paid off my iPhone 6S. I know Apple envisions having a store where customers can flow in and out—or congregate, like in a “town square”—but sometimes it’s just easier to stand in a line. There does certainly seem to be a problem. The Macalope’s not sure that just reverting to lines is necessarily the solution. The only reason this turned into a “weeklong headache” is because Hartmans was traveling and, sadly, they don’t have Apple Stores in Las Vegas. Strange but… well, false. They totally do. 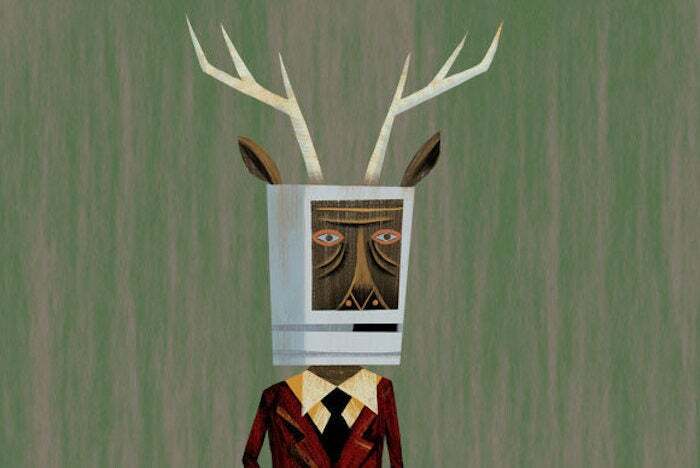 Frankly, even time at an Apple Store is preferable to attending CES so the Macalope thinks this was a mistake on Hartmans’ part for more than one reason. Ultimately, Apple replaced her phone, which is also apparently some kind of problem. In the end, I paid $150 for a brand-new screen I was able to enjoy for less than a day, and I never got that money back. Uh, yeah, because you got a whole new (refurbished) phone. A used iPhone 6s on Gazelle starts at $269. The Macalope calculates Hartmans’ total elapsed time either at the Apple Store or waiting for a repair to be something like seven hours based on her account. The fact that Apple somehow screwed up the phone in the repair process requiring another visit to the store is not great, but the company made it right. And as far as elapsed time, that’s really not that bad. There’s a fair point in this piece about Apple’s retail experience and how it can be confusing and frustrating, particularly if you haven’t navigated it before. It doesn’t need to be drowned in an avalanche of hyperbolic monkey banana nut crunch.